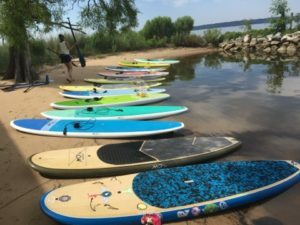 Paddle On Of Williamsburg is your Hampton Roads local SUP Company and we offer everything you need to start your Paddleboarding adventure! 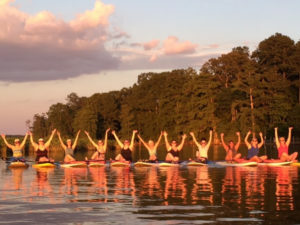 * Paddle Yoga Teacher Training, and so much more!!! 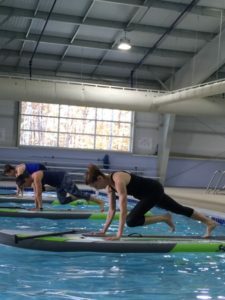 All of our classes and events are led by certified and experienced instructors who love Paddleboarding and love to offer their knowledge on how to have a fun and safe experience while Paddleboarding. Go to the following link to register as a new customer and to check out the schedule. Are you looking to purchase your own Paddleboard this season? 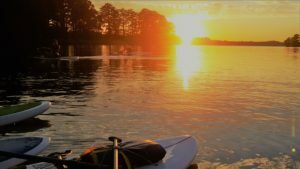 Paddle On of Williamsburg is also a retailer for Michael Dolsey Paddleboards and accessories, and can get you all set with the correct size board and paddle, as well as a leash, PFD and board bag. If you are interested in learning more information about purchasing a Paddleboard then click on the following link and enter your information. 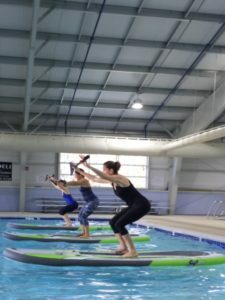 Every day of the week you can find a class or event going on with Paddle On of Williamsburg! 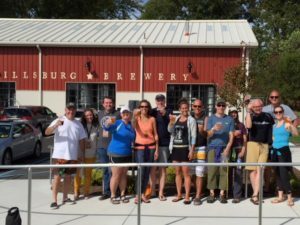 Go to the following link to see what Paddle Events will be happening this summer and to get information on pricing and dates for all classes and events. Fit January, February and March at the WISC.